Our company was established in Itabashi Word, Tokyo in 1973 as a machinery processor and manufacturer of jigs and tools for semiconductor manufacturing equipment. Then, with the growth of the semiconductor industry, we expanded our business from semiconductor manufacturing equipment to the development of new businesses in the precision machinery field. 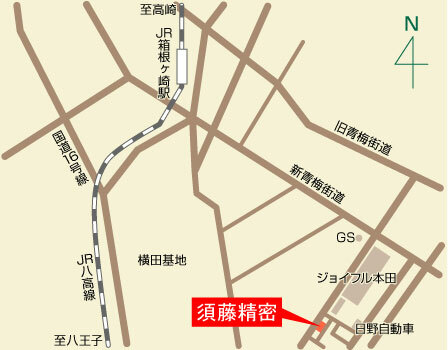 In 1997, because of our expansion, we moved our headquarters and plant to Mizuho-cho, Nishitama-gun, Tokyo. The rapid changes in today’s social environment are bringing drastic improvements in technology. 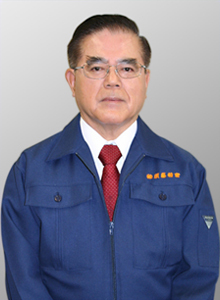 We at Sudo Seimitsu Co., Ltd. will meet the needs of our ever-changing society and continue to manufacture state-of-art industrial equipment and maintain our position as a technological innovator. To trust in the progress of tomorrow’s technology and contribute to society through manufacturing. To always think about our services from the customers’ viewpoint and strive to improve the quality, delivery times, and prices of our products. To earnestly tackle environmental problems and strive to achieve sustainable growth and improve our business. Based on this philosophy, we will continue to integrate the extensive and in-depth technology and expertise we have accumulated over the years with cutting-edge technologies and endeavor to obtain the satisfaction and trust of our customers through close collaborations. We are extremely grateful for your continued support and look forward to serving you in the future. Qualified as a corporate plant of Hitachi Ltd. Copyright(c) SUDO SEIMITSU Co.,Ltd. All Rights Reserved.